This set of two perfumes is inspired by Tengku Permaisuri Selangor’s Royal Orchid, ‘Vanilla Norashikiniana’. 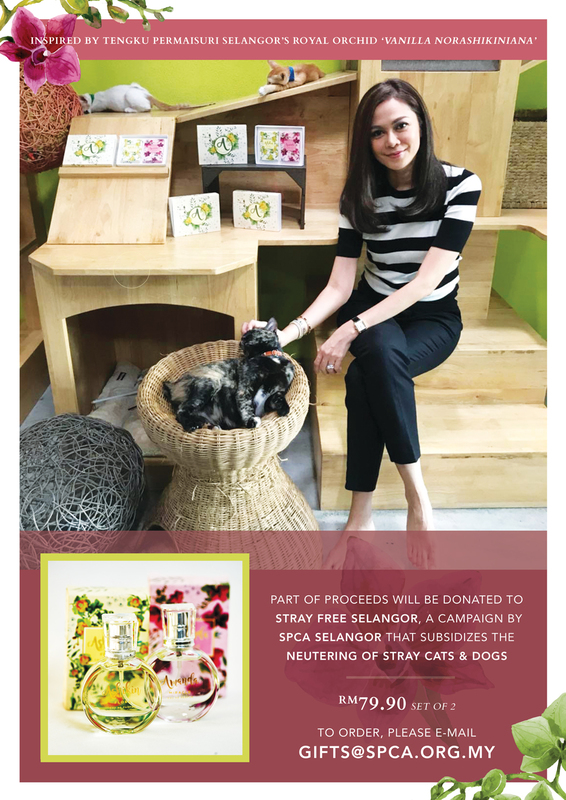 Part of the proceeds will be donated to Stray Free Selangor, our neutering subsidy programme! E-mail gifts@spca.org.my to order now!